Streaks of Precipitation, such as those appearing in the lower part of the cover image, show a higher vertical coherence, or near maximum line up, of fast-falling raindrops, while non-precipitating clouds have larger layer-to-layer variability—no streaks. The image is on the cover for this issue, courtesy of the Journal of Geophysical Research: Atmospheres, volume 121, issue 21, November 16, 2016, Copyright © 2016, John Wiley and Sons, used with permission. Enlarge Image. Results: A famous song-writer looked at clouds from both sides, but it's still difficult for climate and weather models to get a good grasp on them. Now, researchers at Pacific Northwest National Laboratory have improved a statistical representation of clouds in a climate model to capture clouds from all sides and in-between. Their technique predicts how well cloud properties line up vertically: are clouds at one level aligned with clouds at other levels, or are they randomly distributed? And, it reveals how these vertical relationships depend on the type of cloud particles: droplets, rain, snow, or hail. With this information, scientists can better describe cloud types and their characteristics in a model that has previously ignored such details. The PNNL team, along with collaborators from the University of Wisconsin-Milwaukee and the National Center for Atmospheric Research, found that including the falling speed of these cloud components, along with the already-included dependency on the cloud's turbulence strength, will improve climate models' clouds. Why It Matters: Joni Mitchell's song is right. Clouds block the sun...and rain and snow on everyone. But that's not all. Clouds soak up heat, moisture, particles in the atmosphere, reflect and scatter the sun's energy, and cool and shade the Earth. That's why it's so important to get clouds "right," even though they are the hardest climate feature to capture in a computational model. They are constantly changing and vary in size, type, density, and other characteristics. Clouds' vertical structure, important for precipitation formation and transfer of solar and thermal radiation (think heat) in the atmosphere, is not currently resolved in coarse-resolution global models. Consequently, statistical treatments of the cloud vertical distributions, such as those presented and tested in this study, are vital for improving climate model performance. Methods: Coarse-resolution climate models increasingly rely on statistical representations of cloud distributions to represent an unresolved horizontal variability of clouds and precipitation. But a cloud overlap assumption also is required to draw representative vertical profiles from these distributions. Using high-performance computers at the Department of Energy's National Energy Research Scientific Computing Center (NERSC), the team conducted detailed numerical simulations, which explicitly represented the 3D structure of cloud and precipitation fields. They analyzed these virtual clouds for statistical relationships among cloud and precipitation variables at different levels. The team found that faster falling raindrops and graupel particles (soft hail) exhibit significantly higher coherence in their vertical distributions than slow-falling cloud droplets and ice crystals. 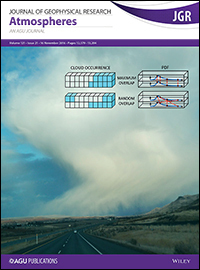 The study suggests that to improve the representation of cloud overlap, the correlations between cloud particles at different levels need to depend on the hydrometeor (type of water particle) properties, such as fall speeds, in addition to the currently implemented dependency on the convection strength. What's Next? The researchers are now working on quantifying the dependency of cloud overlap on particle fall speeds and on implementing this dependency in a parameterization for global climate models. Sponsors: This research was supported by the U.S. Department of Energy's Office of Science, Office of Biological and Environmental Research through the Scientific Discovery Through Advanced Computing (SciDAC) project on Multiscale Methods for Accurate, Efficient, and Scale-Aware Models of the Earth System and through the Atmospheric System Research (ASR) Program. User Facility: Computing resources for the simulations were provided by the National Energy Research Scientific Computing Center (NERSC), an Office of Science User Facility. Forcing data were obtained from the Atmospheric Radiation Measurement (ARM) Climate Research Facility archive, a DOE Office of Science User Facility. Research Team: Mikhail Ovchinnikov, Sunny Lim, and Steven J. Ghan, PNNL; Vincent E. Larson, University of Wisconsin-Milwaukee; May Wong and Katherine Thayer-Calder, NCAR. The vertical structure of clouds and precipitation is not explicitly resolved in global climate models but can be represented in terms of overlapping statistical representations of various water types in the atmosphere, such as rain, snow, or hail. 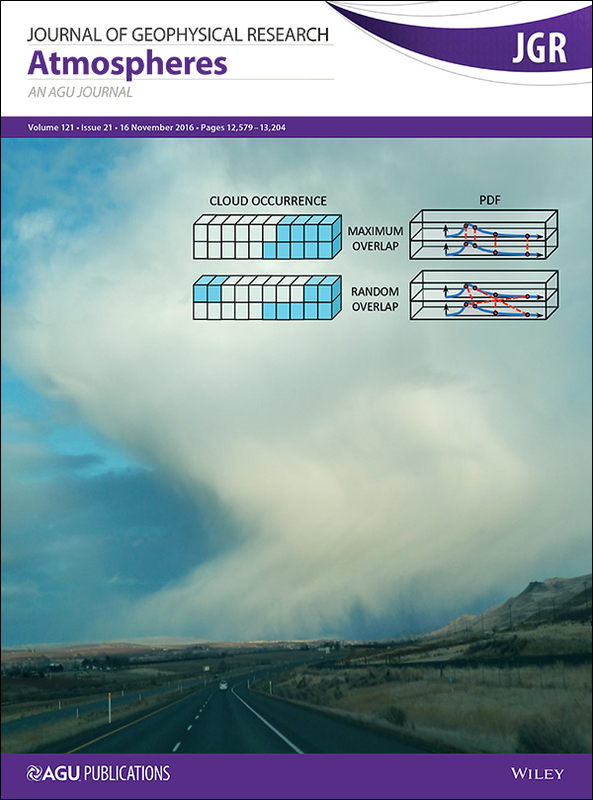 Precipitation fall streaks, such as those appearing in the lower part of the cover image, show that in these clouds, the particles are more likely to line up vertically when they are fast-falling particles, which can be represented in the model statistically. Non-precipitating clouds have significantly larger variability layer-by-layer and, therefore, a more random overlap. These phenomena are important to represent in the model to get the best depiction of the cloud.